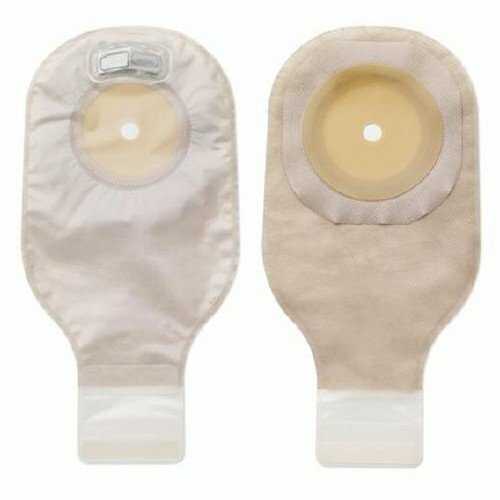 The Transparent One-Piece Drainable Ostomy Pouch by Hollister allows patients to see whether or not they need to empty their bag at a certain point. Best if used for colostomy or ileostomy, the opening on the bottom makes it easier to drain when needed. A flat, extended-wear skin barrier makes the pouch highly-durable. It has a taped border and a lock-and-seal type closure to avoid any unwanted leaks from either the bags closure or the opening. The transparent pouch features a cut-to-fit skin barrier and is latex-free.